this is lovely, lovely art. 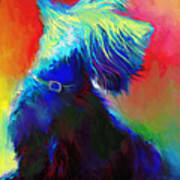 Svetlana, my husband bought this print for my Mothers Day gift this year. 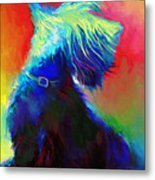 The canvas print is simply beautiful!! We have had scotties for years and this print does capture the scottie attitude. Thank you for sharing your talent! Watermark doesn't show on prints. Copyright @ Svetlana Novikova. 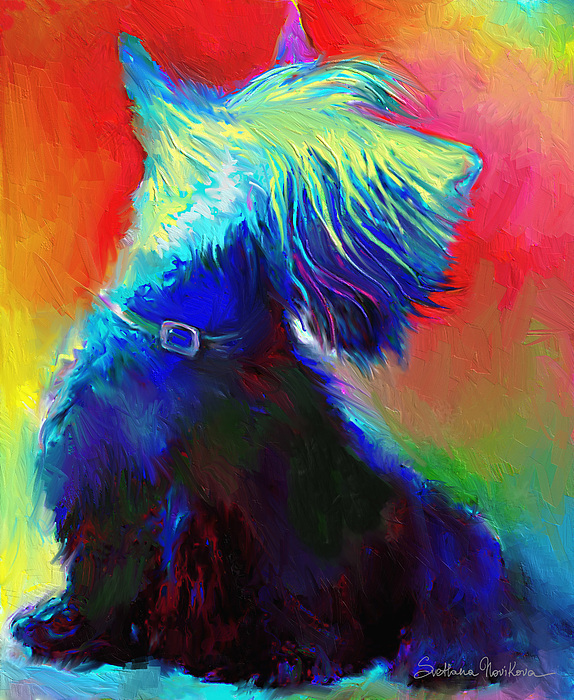 Colorful Scottish Terrier Giclee print, framing and matting available. Prints come in different sizes. Great gift idea for Scottish Terrier dog lovers.